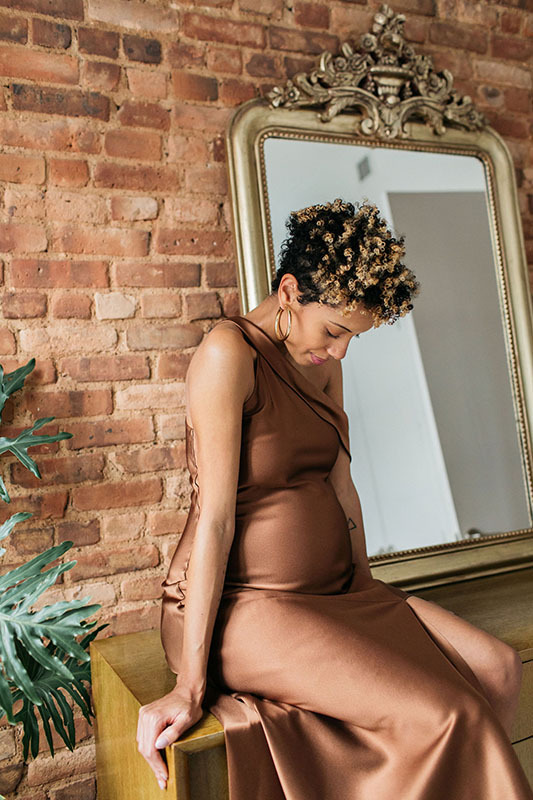 Ch-ch-ch-changes are something Carly Cushnie is starting to know very well. 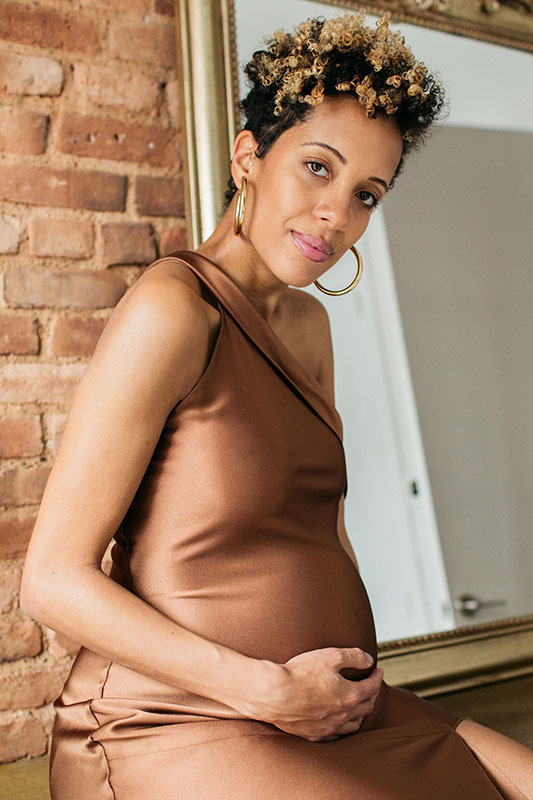 In the past two years, the Brooklyn-based designer has gotten married (peep the hashtag #teamoscarly for a color-soaked Mexico City recap), parted ways with her business partner of ten years (their line, formerly Cushnie et Ochs, is now simply Cushnie), and is now anticipating the arrival of her first child—a baby girl. 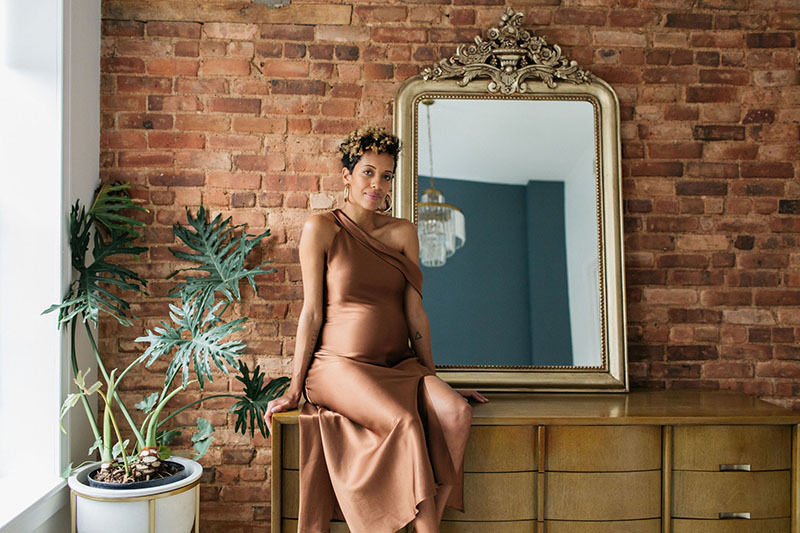 All the while, she’s been focused on growing her Cushnie brand, which counts Michelle Obama as a mega-fan, alongside J.Lo, Kerry Washington, Olivia Wilde, Charlize Theron, Alicia Keys, Eva Longoria, and the list continues. 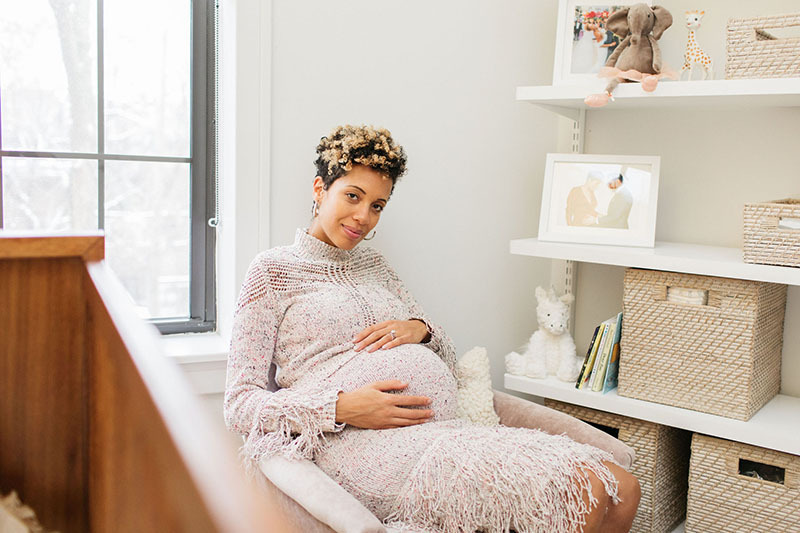 On the brink of perhaps her biggest transition to date—saying hello to motherhood!—Carly invites us over to talk pregnancy style, beauty routines, parenting in a multi-cultural household, and much more. 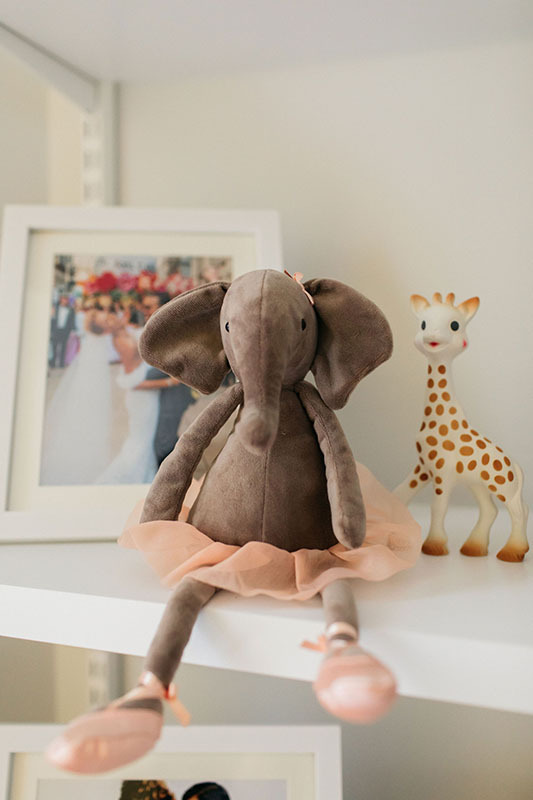 "My husband and I have been in our home for a little over 2 years now. At the time that we found it, another home we loved had just fallen through, so we jumped on seeing this one the second it was listed. I knew it was our house from the moment we walked in. 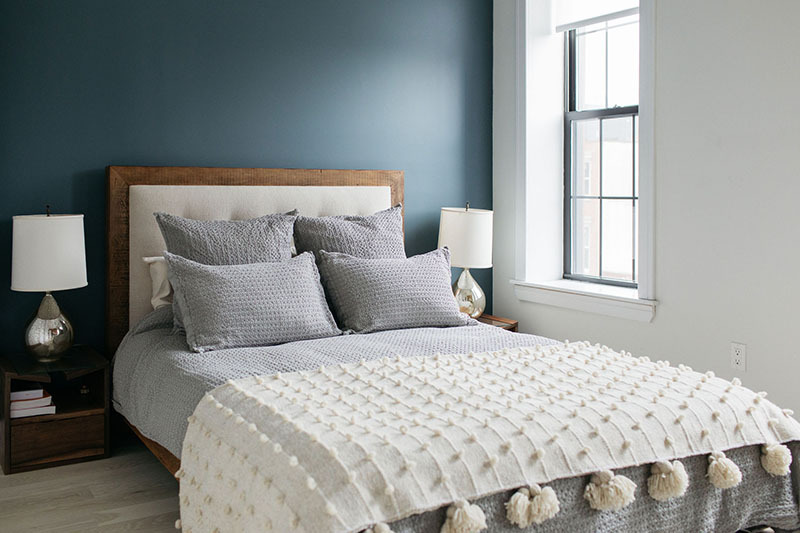 We had been looking at homes in the Bed-Stuy area of Brooklyn for some time, and the brownstones are stunning and hard to come by, so I was just over the moon that we were able to find one that worked for us." 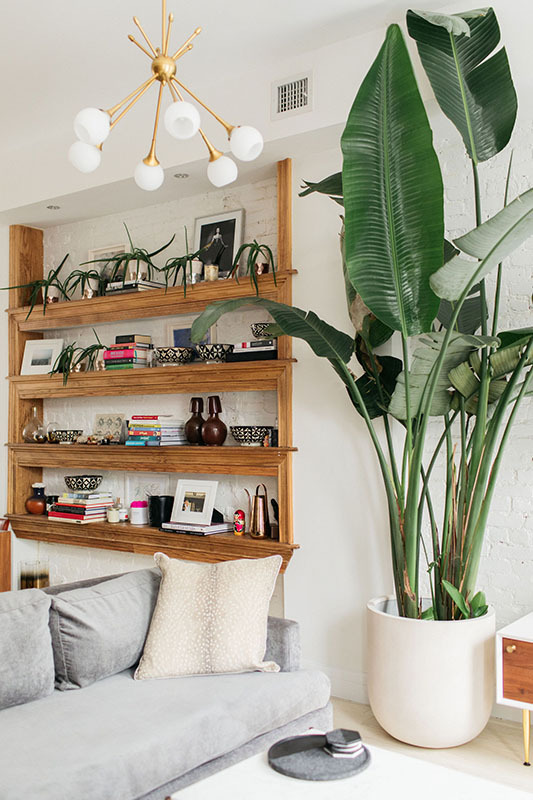 "It’s clean, modern, and slightly eclectic. Luis Barragán influences are mixed with clean lines and luxe textures." Carly wears a silk jacket by her label, Cushnie. 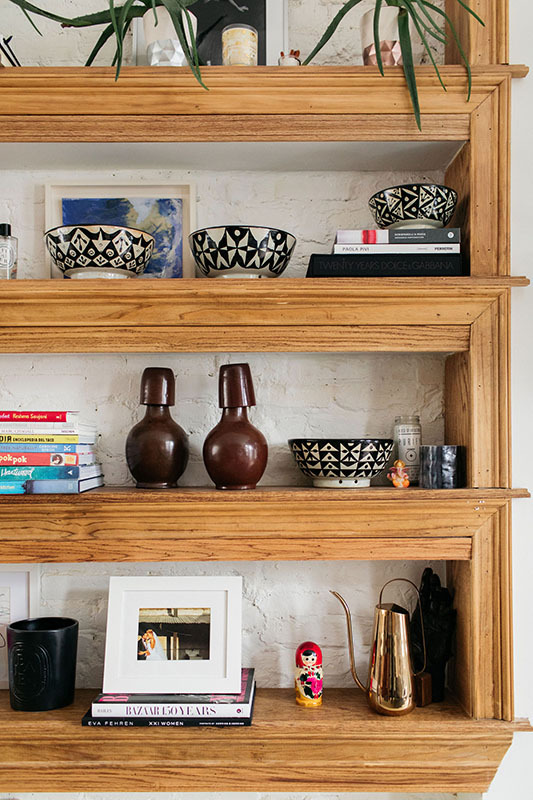 "I always want our home to feel calm and serene when we walk in. 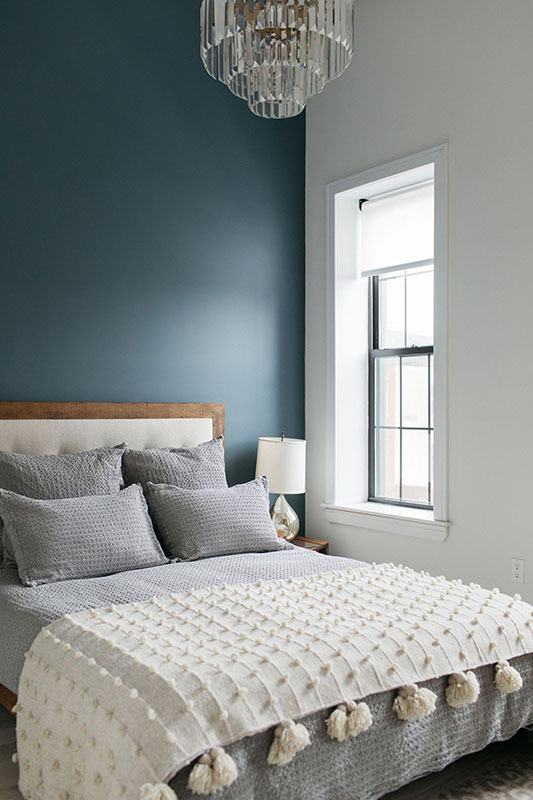 It’s sleek and elegant but still inviting and cozy." 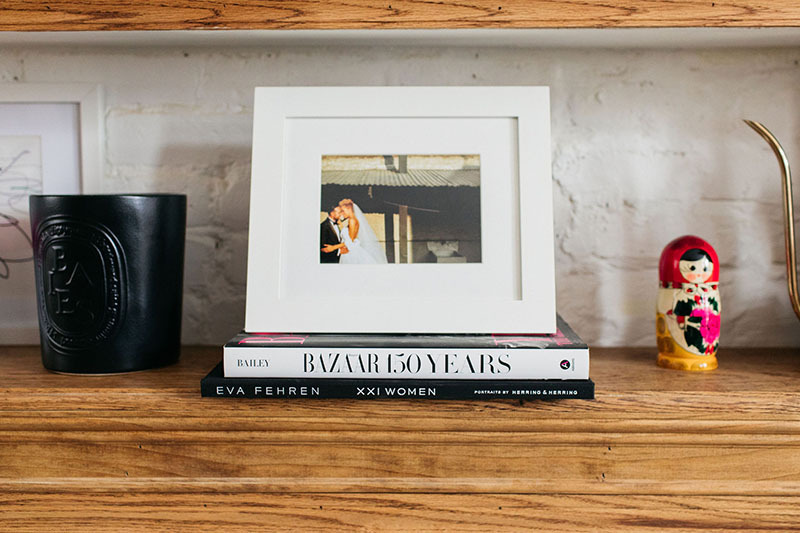 "The vintage credenza that we use as our bar under the stairs is definitely a favorite piece." "I will definitely be keeping it corralled...as much as possible! I just love our home so much and I spent a lot of time getting it to where it is now. Of course, some things will have to change to accommodate, but I’d like to avoid a full-on baby takeover." "Meeting her. Becoming a family. Feeling that special kind of love that everyone talks about for the first time, and helping her blossom into an awesome human." "Everything makes me a little nervous. I know that balancing work and family is challenging for every new working mother, and I expect to feel the same way. I have to remind myself that I can only do my best." "I think I’m mostly petrified of having a teenage daughter, but thankfully I have some time until that happens. Truthfully, I always knew I was having a girl. My mother is the eldest of 7 girls, and she went on to have 3 daughters, and my two sisters have 3 daughters between them. A baby girl was definitely in the stars for me!" 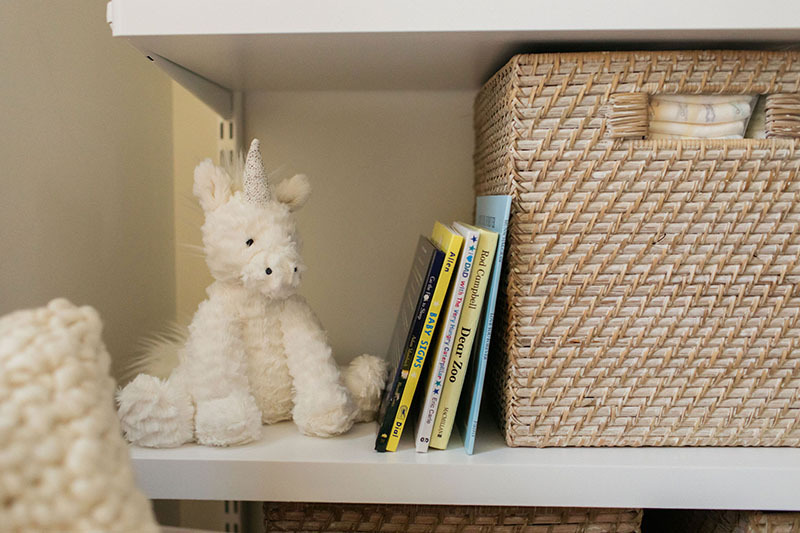 "I tried to keep the baby room as adult-friendly as possible. It’s still very much a nursery, but is not a princess palace within the rest of the house. 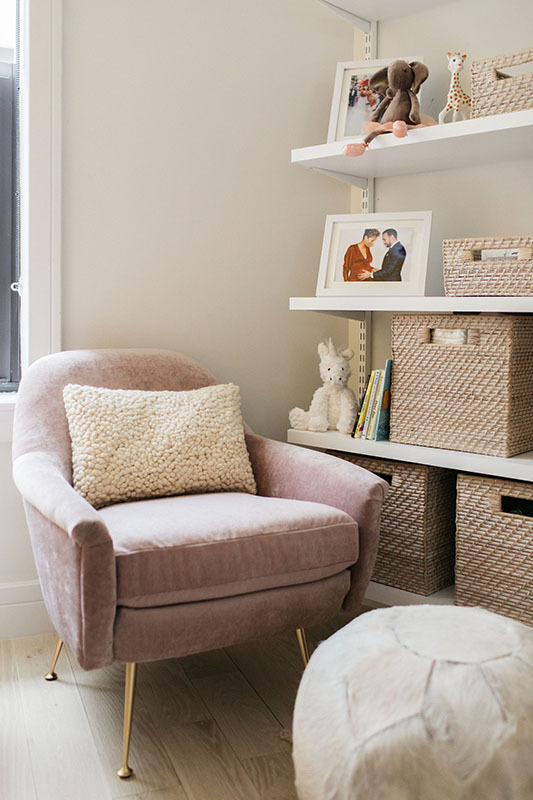 It’s very modern with soft, plush touches." 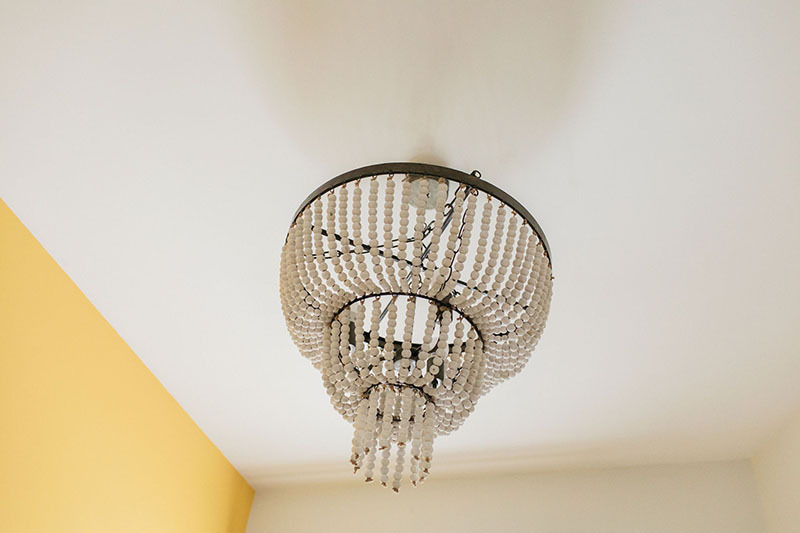 "I love the chandelier, it’s a little rustic but very dreamy. 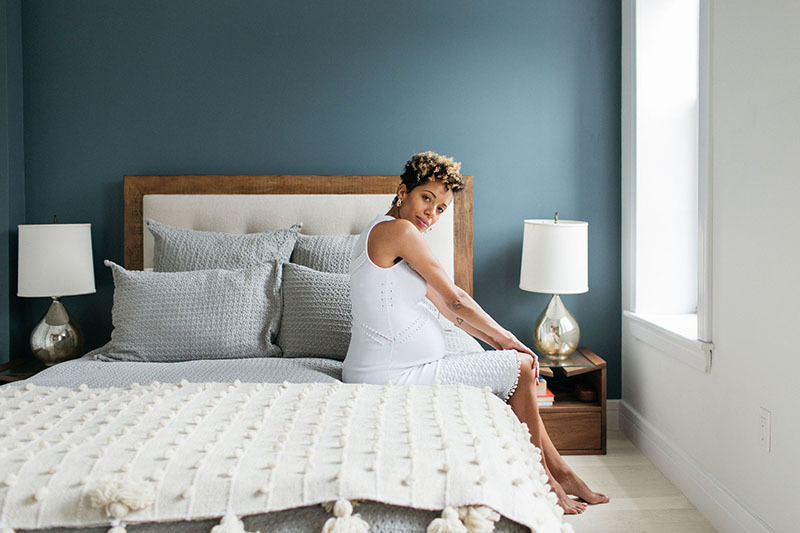 And the mid-century modern inspired crib and changing table, which help blend this room with the aesthetic in the rest of the house." "I’m of Jamaican heritage and I was born and raised in London, and my husband is of Mexican heritage, born in America. Incorporating both of our backgrounds is something that is incredibly important to both of us. From food to language, philosophies and education, it will be a very multicultural household." "I felt pretty terrible in the beginning. I was exhausted and nauseous for the whole first trimester and halfway through the second, but after getting past that point I felt much better. I had also planned to exercise as normal during my pregnancy, but every time I worked out, no matter how mild, I felt awful. It would knock me out for at least 24 hours. It was crazy! 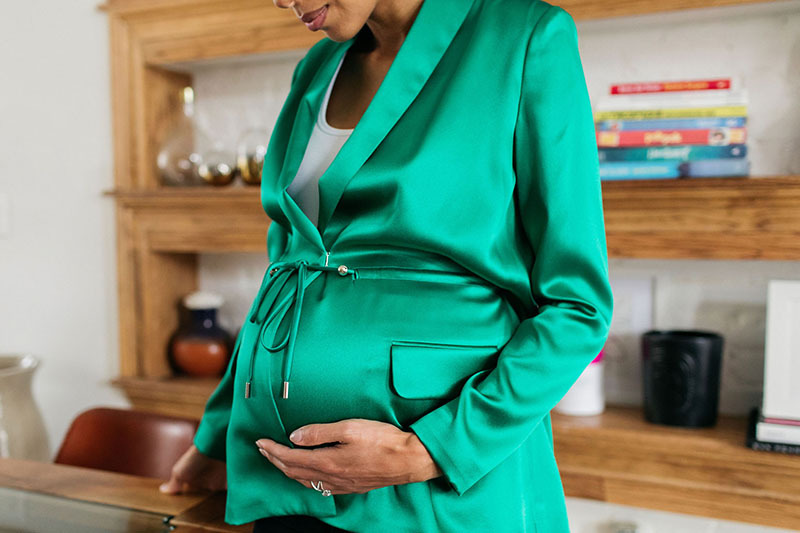 You never know how your body is going to react, especially to things you did regularly before your pregnancy, which can be quite bewildering at times." The cutest kimono set by Ellie Fun Day and scarf by Misha + Puff. "Bringing Up Bébé, Expecting 411, and Baby 411." "Everyone's experience is different, so it’s hard for anyone to tell you exactly what to expect, but I’ve definitely had a lot of surprises! The whole experience is just totally insane—in good and bad ways. It’s this completely unpredictable time full of extremes. I feel like there’s no way to properly describe it and you’ll really never know until you go through it yourself." 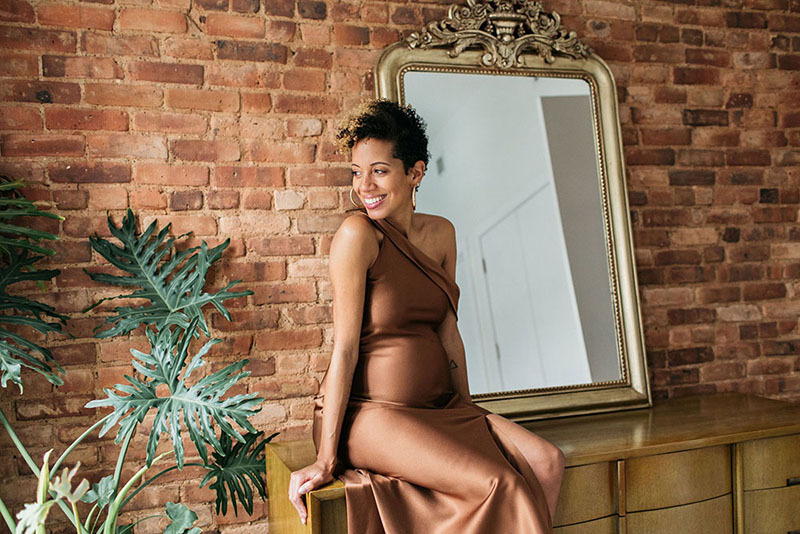 "In Brooklyn, I recommend Bend + Bloom Yoga for prenatal yoga classes, and Birth Day Presence for birthing and baby classes. I also recommend FPC, a prenatal fitness studio with group glasses in Manhattan." Carly wears a Cushnie "Samantha" sweater on top of a Cushnie "Sonia" sweater dress. "My style hasn’t really changed, it just depends on what fits!" "Cushnie knitwear. 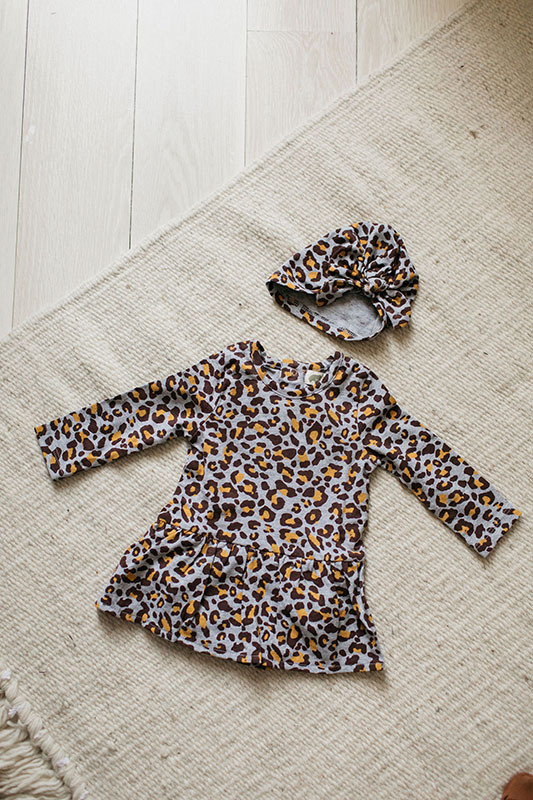 We have a lot of strong day-to-night pieces that travel well, are super cozy, and have enough stretch to fit over my bump, while still providing shape and support." 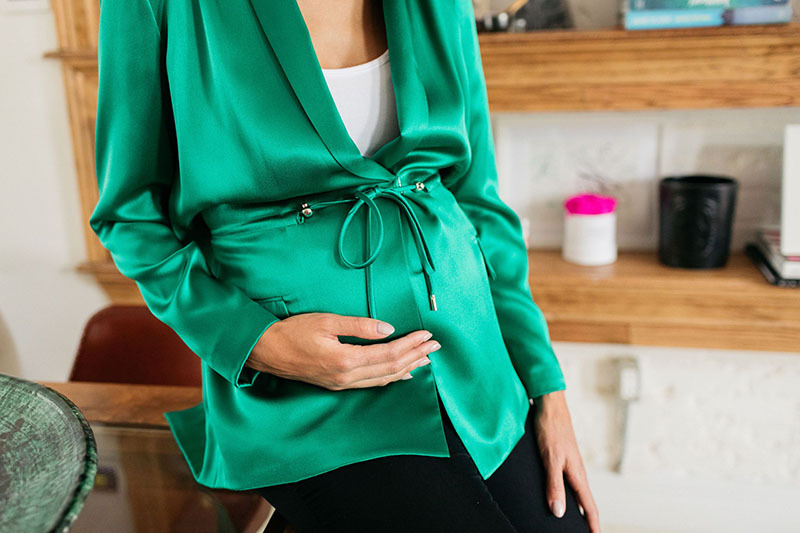 "It’s definitely fun at times, but finding numerous layers to fit over my bump during the winter has become a bit challenging." 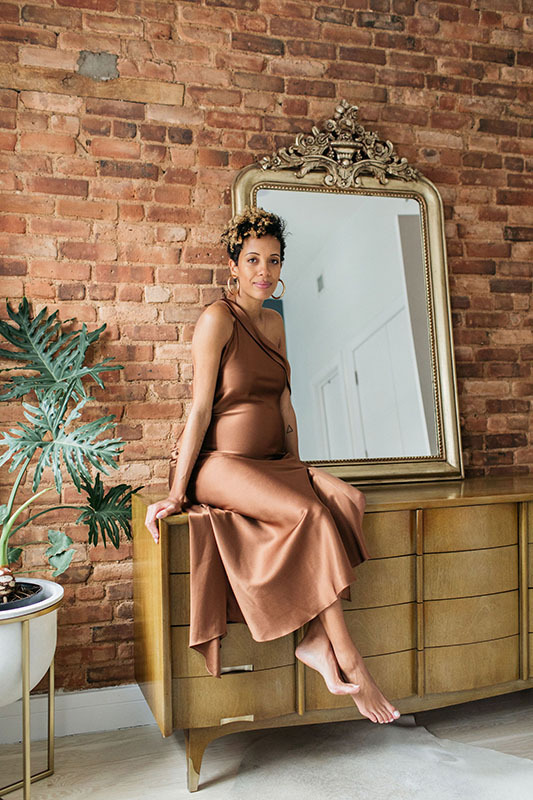 "To be honest, my closet is mostly filled with Cushnie ready-to-wear. Ten years in business will do that to you! 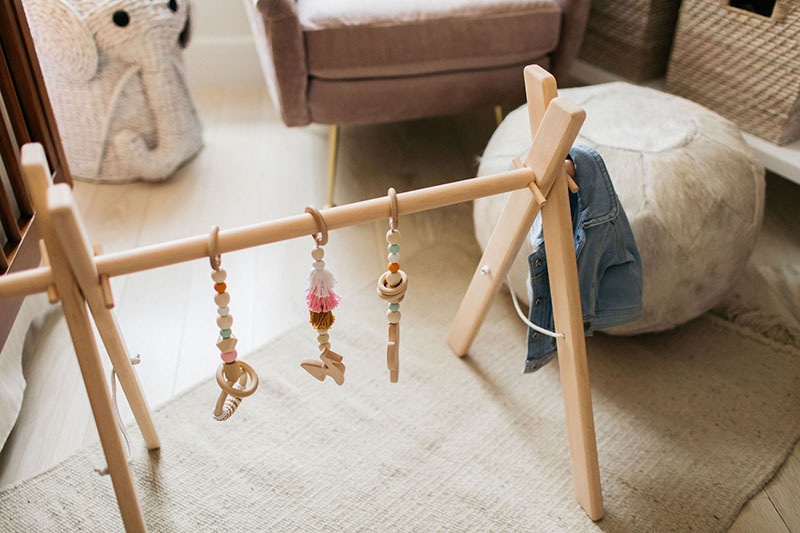 But I’ve always enjoyed pairing my pieces with statement jewelry by designers like Jennifer Fisher and Monica Sordo, and I love Stuart Weitzman for shoes." "I generally shop online, it’s just so much easier." "I definitely prioritize taking care of my skin. I love products by Dr. Barbara Sturm, True Botanicals, Joanna Vargas, and Summer Fridays." Carly wears the Cushnie "Mallorie" dress. "I typically enjoy working out regularly, but it has been super challenging for me since becoming pregnant. 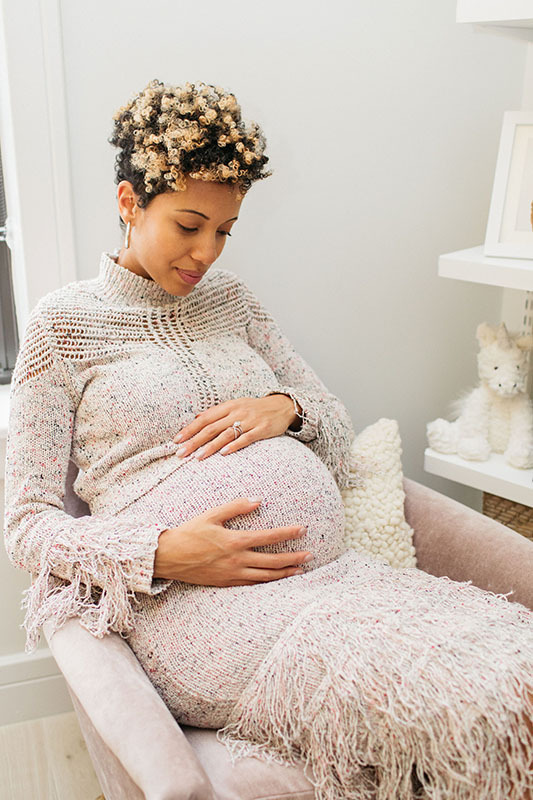 Since I’ve only been able to manage a little yoga and stretching during my pregnancy, I’ve focused on seeing my acupuncturist more and trying to squeeze in a massage when I can. I always feel amazing after seeing my acupuncturist. I’ve also been craving pasta all day, every day since becoming pregnant, so I try to get my greens in the morning with a green smoothie and WelleCo Super Elixir." 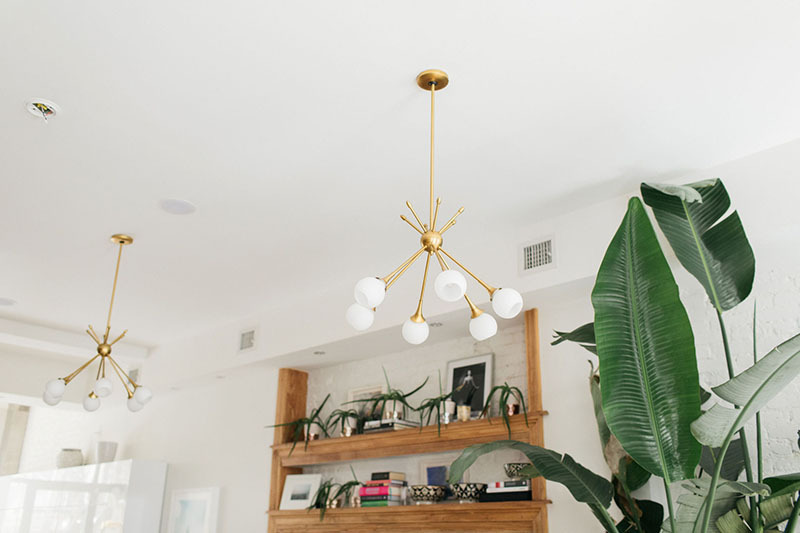 "My days are filled with various meetings with different departments, working closely with my design team, long production and development fittings, and putting out the occasional fire." "I was born and raised in London, and went on to live in Paris and then New York to attend Parsons School of Design, where I ultimately received my BA in Fashion Design. Prior to launching my own collection in 2008, I interned at Donna Karan, Proenza Schouler, and Oscar de la Renta." "When Bergdorf Goodman picked up the collection, becoming the brand’s exclusive first retail partner." "There's no one place I go to get inspired. My collections are inspired by so many different references across art, architecture, film, foreign landscapes, and cultures." "So far work hasn't really changed. It’s still as busy as ever, and the fashion calendar never stops. But I do have to remind myself to slow down sometimes and I’m sure my outlook on everything will shift once she arrives." "I'm flying in my support system! My parents are coming from London to stay for a while, and my husband's parents will be visiting as well. My husband and I do have a great network in Brooklyn and Manhattan, but there's nothing like having your family around, and your mum's cooking." Carly wears a silk slip dress by Cushnie. "We have somewhat of a plan, but I'm sure things will shift and change as we find our rhythm as a family. In the beginning I plan to take some time off, I think he will as well, and then I’ll be bringing her to work with me as I gradually start to go into the office again." "Juggling both the business end and the design end of my company is a lot to balance. It’s been really important for me to find focus and to prioritize, while also giving my team the room to do what they do best." 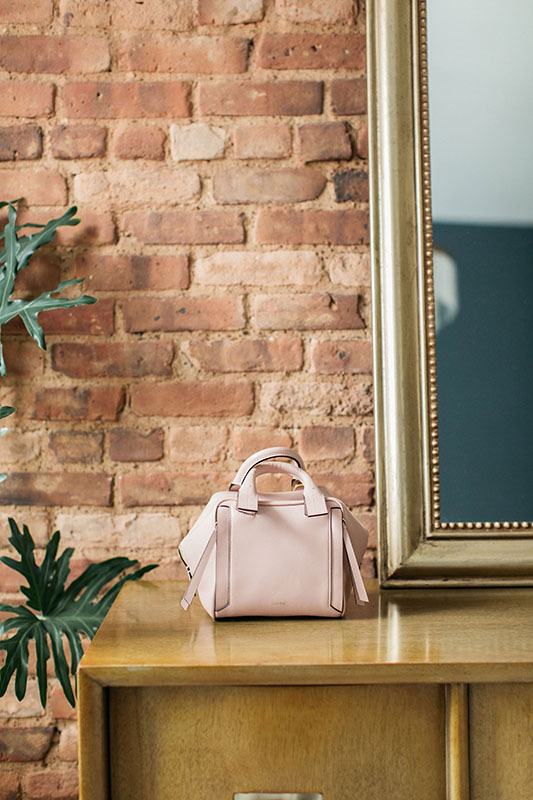 "I launched Cushnie Bridal this past Fall, as well as a new collection of Cushnie handbags. So, right now we're just really focused on growing and evolving those categories alongside our ready-to-wear business." The Mini Whistler bag by Cushnie. 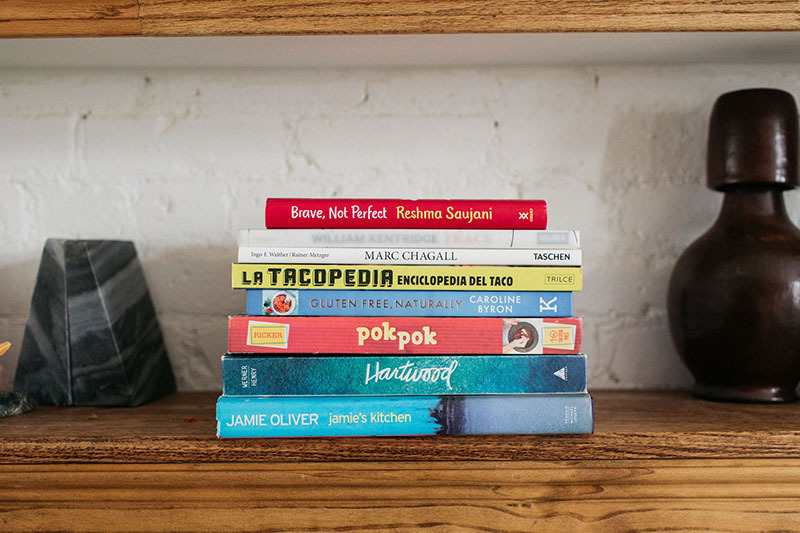 "I love that Brooklyn is so diverse and there are so many great offerings for kids. You're still in this big city, but it feels much more like a neighborhood." 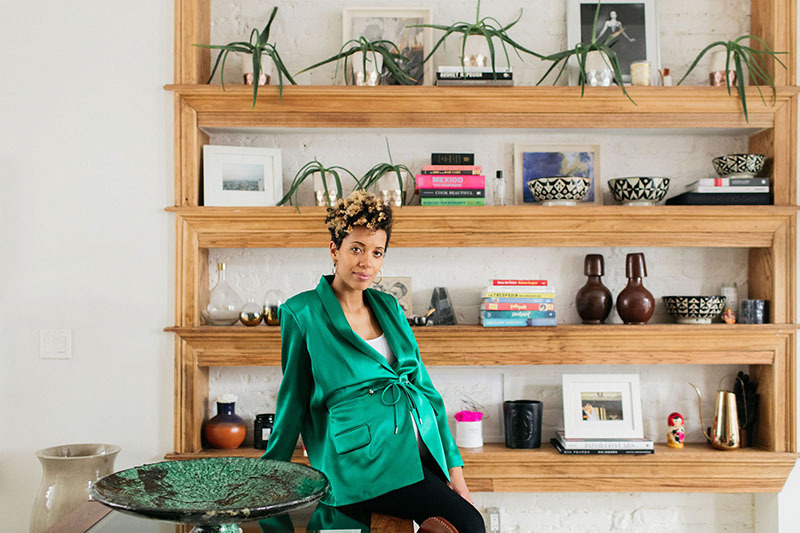 "I love going to the Brooklyn Museum, taking walks in Prospect Park, having dinner at L'Antagoniste, drinks at Lovers Rock, and brunch at La Vara." 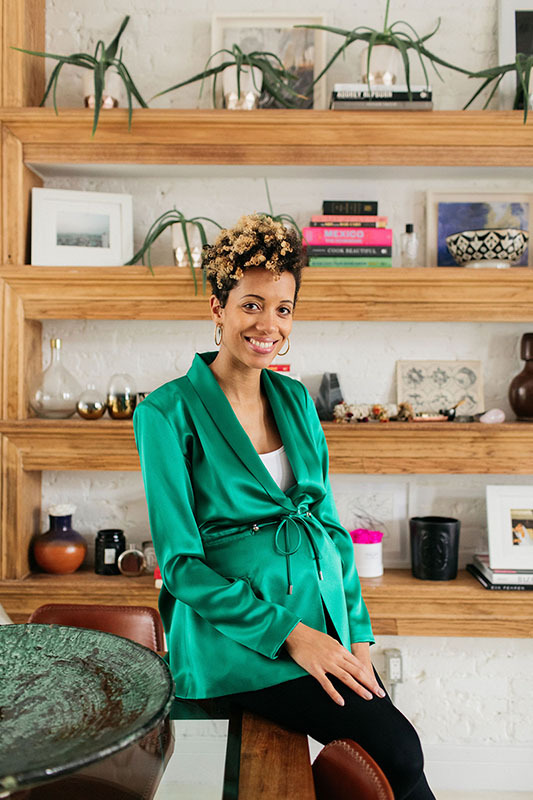 For more on Carly, her company, and her baby on the way, be sure to follow the Instagram feed of Cushnie and her personal feed. Would love deets on Carly’s bedding and throw. Love love love. I love this woman’s spirit & clothing line but would plead for more size inclusiveness. I am an 8-10 and cannot wear Cushnie pieces!! They are gorgeous and I would like to support a fellow woman of color…hope you’re reading, Carly.